Ms. Hill, a native of the city of Pleasanton and alumna of Foothill High School, has always had a heart for teaching and networking. She graduated from San Diego State University where she earned a Bachelors of Arts in Media Studies and a Minor in Sociology. While pursuing her undergraduate degree, she volunteered in her local community to encourage young students to become avid readers. By organizing and serving as the Co-Chair for a program called Champions are Readers in San Diego, she supported reading enrichment for students at the elementary level. Seeing students discover the joy of reading left a lasting impression. Soon after, Ms. Hill knew teaching in the classroom would be her ultimate career destination. She went back to pursue her graduate degree at California State University East Bay where she earned her Single Subject English credential. Currently, she teaches 8th grade English, Leadership, and Middle School Success at Hart Middle School in Pleasanton. In addition, she coaches boys and girls basketball, boys volleyball, and track/field. Ms. Hill enjoys working with young students and understands the privilege she has as an educator. During her free time, she dreams about traveling and the adventures she had while studying abroad in Spain and then traveling throughout Thailand, Vietnam, Bali, India, Nepal, and Australia. 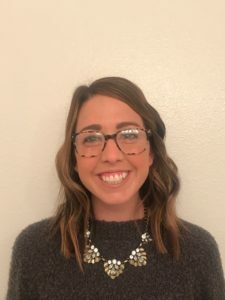 She is thrilled to be on the team at Mill Creek Academy and to be sharing her love of teaching.